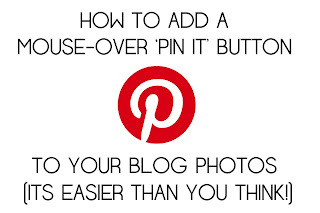 I have gotten a couple of emails asking me how I added the 'Pin It' buttons to my photos. 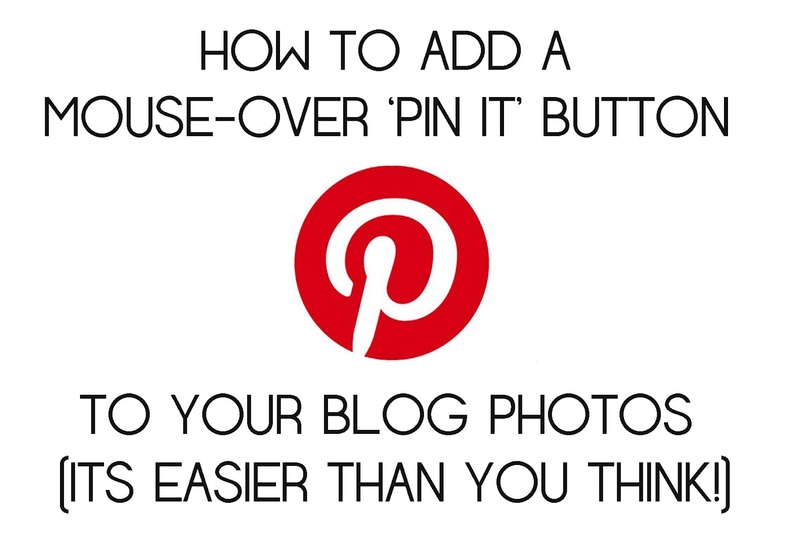 Well, it took me awhile to research how to do it so I thought I would show you (an easy) way how to add a Pin It button when you use your mouse to hover over a photo. The Fine Print: I am no means an expert. And I know this works for Blogger. So if you have your blog on another platform (like Wordpress), well, then, you're on your own. 1. In Blogger, go to "Template" > Edit HTML. 2. Find the </body> tag that is near the bottom of the template. 3. Insert the following code (found below) and insert it right above the tag. 5. Thats it. Easy Peasy. All you need to do now is hit 'save'. Thank You!!! Gotta do this!!! That.was.awesome! Thank you sooooo much! I'm finally on Pinterest! I gotta tell you though, I was very nervous about hitting that SAVE button, but I'm so glad I did! You rock! Well, I think you're an expert. I've Pinned it and am going to try this for myself Melissa! Does this language get automatically added to each post? Ok I'm being lazy- I will go try it out- thank you so much for this info! I've been wondering about this for months now! I have a question. My Pin it Button will only work if I upload my picture directly from the computer I edited it on. If I upload my picture to yahoo and then download it to my laptop from yahoo, then upload it to blogger the "pin it" doesn't work. Do you have any suggestions? OMG.. You are a life saver! Thank you so much for this post! It was so easy to do!